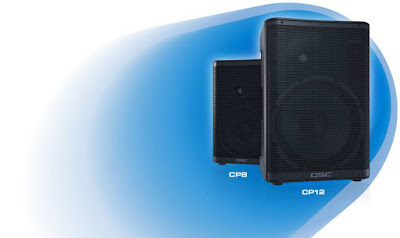 The new CP Series is QSC’s very first value-priced powered loudspeaker. Featuring all the great performance, quality and reliability you would expect from QSC, the CP is also incredibly compact and light weight, making it easy to load, carry, lift and deploy in a wide range of portable and installed applications. Beneath its elegantly-designed exterior, CP is equipped with a highly-efficient, 1000-watt power amplifier, matching transducers and advanced DSP, delivering performance beyond expectations for a compact loudspeaker. With the ability to mix up to three input sources (mic/line, line and music playback device) at once, CP makes a great single-box PA system that sets up in seconds. As part of a larger system, CP can be deployed on a speaker pole, as a floor monitor or as a musical instrument amplifier. One-touch DSP control with preset contours for the most common applications is also provided.